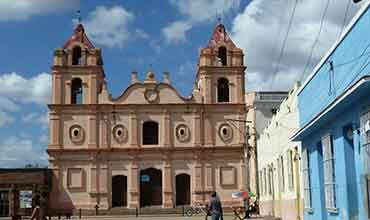 Top tourist attractions Camaguey, Cuba. Alley solitude forms a complex gourmet next to still life Don Cayetano. it's a coffee shop outdoor serving fast food, with a service agile and very professional. provides services in a captivating site of historical Center of town. their tables mud, made by Potters patio, reflect legends camagüeyanas. his specialty is the Burger principeña, made based pork, Res, egg, garlic and onion. a trio of traditional music Cuban ameniza the place. Church loneliness this Church is among the oldest of Cuba, and its origin gave walk to an old legend. the present building, refurbished inside, dates from 1776. there was named in the year 1814 the famous Gertrude Gomez of avellaneda, poet and Writer of the nineteenth century Cuban. also contracted marriage, in 1868, Amalia Simoni and Ignacio agramonte, actors one of the most beautiful decimonónicas love stories in Cuba. at your Presbytery there is an old crypt, with several Graves. 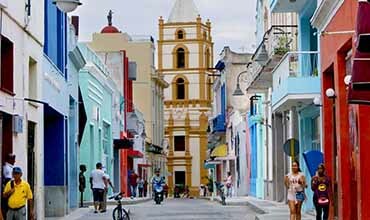 located at the confluence of the streets Republic and Ignacio agramonte, is origin of the only way pedestrian of the city: Street Maceo where are the hotel facilities great hotel, and the most important and popular shopping Center of the capital of Camagüey. Park agramonte old main square dating back of the year 1528. in one of his side is the old Church, today Metropolitan Cathedral, dedicated to our Lady of the Candelaria, patron Saint of the city. the Temple was built in the same place a sanctuary previous served of closure to locals captives pirate Welsh Henry Morgan, during his attack Villa in 1668. in Central Park stands the iconic equestrian statue of the more general Ignacio agramonte (1912). is one of the centers meeting preferred by the population. 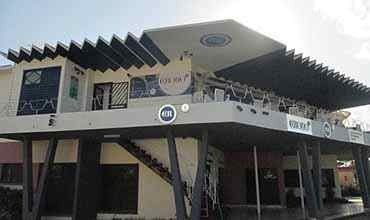 Restaurant Ovejito is located in a typical housing camagüeyana of the first half of the nineteenth century. 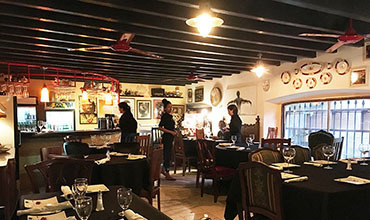 the Restaurant the Ovejito is also one of the environments Colonial best preserved of the city, where the office of the historian has established a project socio-cultural for resuscitation popular traditions. The remote area Santa Cruz South is Fortunately quite away from the massification tour is a place delicious in which spend a few days. 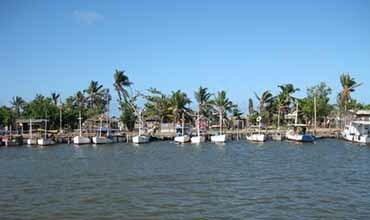 this fishing Port at the end of a road is a good starting point to explore the quiet keys Gardens Queen, a lush Forest mangrove 120 kilometers long as well as a reef corals and Marine Park of 3.800 square kilometers in which there are still areas Virgin few have seen from the landing colon. it is not place more accessible Cuba, but the experience you compensate far. 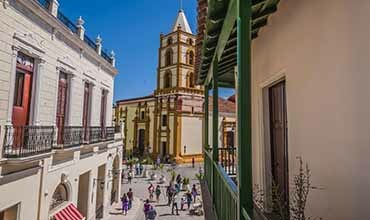 Discover the renewed Plaza del Carmen Square and its charm still hidden for the visitors of Camagüey Plaza del Carmen Square, Camagüey Plaza del Carmen. 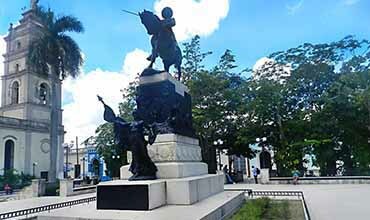 The Plaza del Carmen is the most beautiful and less visited square in the city, and it is located approximately 600 meters west to the Republic Avenue, hidden in Camagüey. Some years ago, in a great restoration work, it became a much-improved square from the former ruins it was. It was decorated with giant clay pots, charming streetlights and real size unique statues that represent the daily life of people of Camagüey. 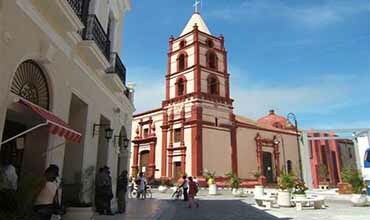 The eastern half of the square is occupied by the Iglesia de Nuestra Señora del Carmen Church, and mixes its antique style with the novel reparation. Location: Hermanos Agüero between Honda and Carmen streets, Camagüey, Cuba.